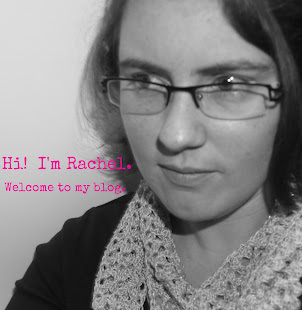 This blog is a personal blog written and edited by me, Rachel Furlong. If you have any questions about this blog, please contact me at rachel.marie.furlong@gmail.com. I have enabled Google Ad Sense on this blog. I also have Google Analytics enabled. I am also an affiliate with a variety of other networks. The Philosopher's Wife may collect your email address, but only if you voluntarily provide it to us. An example of this is if you sign up to receive an email newsletter, or perhaps enter a promotion. Your email address will be used for the purposes for which you provided it to us: newsletters, updates, and such. You may opt out of such email communications at any time by clicking the “unsubscribe” button in the email. Your email address may also be shared with Mad Mimi, the email distribution provider. The The Philosopher's Wife Web Site (the "Site") is an online information service provided by The Philosopher's Wife ("The Philosopher's Wife "), subject to your compliance with the terms and conditions set forth below. PLEASE READ THIS DOCUMENT CAREFULLY BEFORE ACCESSING OR USING THE SITE. BY ACCESSING OR USING THE SITE, YOU AGREE TO BE BOUND BY THE TERMS AND CONDITIONS SET FORTH BELOW. IF YOU DO NOT WISH TO BE BOUND BY THESE TERMS AND CONDITIONS, YOU MAY NOT ACCESS OR USE THE SITE. The Philosopher's Wife MAY MODIFY THIS AGREEMENT AT ANY TIME, AND SUCH MODIFICATIONS SHALL BE EFFECTIVE IMMEDIATELY UPON POSTING OF THE MODIFIED AGREEMENT ON THE SITE. YOU AGREE TO REVIEW THE AGREEMENT PERIODICALLY TO BE AWARE OF SUCH MODIFICATIONS AND YOUR CONTINUED ACCESS OR USE OF THE SITE SHALL BE DEEMED YOUR CONCLUSIVE ACCEPTANCE OF THE MODIFIED AGREEMENT. The entire contents of the Site are protected by international copyright and trademark laws. The owner of the copyrights and trademarks are The Philosopher's Wife, its affiliates or other third party licensors. YOU MAY NOT MODIFY, COPY, REPRODUCE, REPUBLISH, UPLOAD, POST, TRANSMIT, OR DISTRIBUTE, IN ANY MANNER, THE MATERIAL ON THE SITE, INCLUDING TEXT, GRAPHICS, CODE AND/OR SOFTWARE. You may print and download portions of material from the different areas of the Site solely for your own non-commercial use provided that you agree not to change or delete any copyright or proprietary notices from the materials. You agree to grant to The Philosopher's Wife a non-exclusive, royalty-free, worldwide, perpetual license, with the right to sub-license, to reproduce, distribute, transmit, create derivative works of, publicly display and publicly perform any materials and other information (including, without limitation, ideas contained therein for new or improved products and services) you submit to any public areas of the Site (such as bulletin boards, forums and newsgroups) or by e-mail to The Philosopher's Wife by all means and in any media now known or hereafter developed. You also grant to The Philosopher's Wife the right to use your name in connection with the submitted materials and other information as well as in connection with all advertising, marketing and promotional material related thereto. You agree that you shall have no recourse against The Philosopher's Wife for any alleged or actual infringement or misappropriation of any proprietary right in your communications to The Philosopher's Wife. Publications, products, content or services referenced herein or on the Site are the exclusive trademarks or servicemarks of The Philosopher's Wife. Other product and company names mentioned in the Site may be the trademarks of their respective owners. You understand that, except for information, products or services clearly identified as being supplied by The Philosopher's Wife, The Philosopher's Wife does not operate, control or endorse any information, products or services on the Internet in any way. Except for The Philosopher's Wife- identified information, products or services, all information, products and services offered through the Site or on the Internet generally are offered by third parties, that are not affiliated with The Philosopher's Wife a. You also understand that The Philosopher's Wife cannot and does not guarantee or warrant that files available for downloading through the Site will be free of infection or viruses, worms, Trojan horses or other code that manifest contaminating or destructive properties. You are responsible for implementing sufficient procedures and checkpoints to satisfy your particular requirements for accuracy of data input and output, and for maintaining a means external to the Site for the reconstruction of any lost data.YOU ASSUME TOTAL RESPONSIBILITY AND RISK FOR YOUR USE OF THE SITE AND THE INTERNET. The Philosopher's Wife PROVIDES THE SITE AND RELATED INFORMATION "AS IS" AND DOES NOT MAKE ANY EXPRESS OR IMPLIED WARRANTIES, REPRESENTATIONS OR ENDORSEMENTS WHATSOEVER (INCLUDING WITHOUT LIMITATION WARRANTIES OF TITLE OR NONINFRINGEMENT, OR THE IMPLIED WARRANTIES OF MERCHANTABILITY OR FITNESS FOR A PARTICULAR PURPOSE) WITH REGARD TO THE SERVICE, ANY MERCHANDISE INFORMATION OR SERVICE PROVIDED THROUGH THE SERVICE OR ON THE INTERNET GENERALLY, AND The Philosopher's Wife SHALL NOT BE LIABLE FOR ANY COST OR DAMAGE ARISING EITHER DIRECTLY OR INDIRECTLY FROM ANY SUCH TRANSACTION. IT IS SOLELY YOUR RESPONSIBILITY TO EVALUATE THE ACCURACY, COMPLETENESS AND USEFULNESS OF ALL OPINIONS, ADVICE, SERVICES, MERCHANDISE AND OTHER INFORMATION PROVIDED THROUGH THE SERVICE OR ON THE INTERNET GENERALLY. The Philosopher's Wife DOES NOT WARRANT THAT THE SERVICE WILL BE UNINTERRUPTED OR ERROR-FREE OR THAT DEFECTS IN THE SERVICE WILL BE CORRECTED. YOU UNDERSTAND FURTHER THAT THE PURE NATURE OF THE INTERNET CONTAINS UNEDITED MATERIALS SOME OF WHICH ARE SEXUALLY EXPLICIT OR MAY BE OFFENSIVE TO YOU. YOUR ACCESS TO SUCH MATERIALS IS AT YOUR RISK. The Philosopher's Wife HAS NO CONTROL OVER AND ACCEPTS NO RESPONSIBILITY WHATSOEVER FOR SUCH MATERIALS. IN NO EVENT WILL The Philosopher's Wife BE LIABLE FOR (I) ANY INCIDENTAL, CONSEQUENTIAL, OR INDIRECT DAMAGES (INCLUDING, BUT NOT LIMITED TO, DAMAGES FOR LOSS OF PROFITS, BUSINESS INTERRUPTION, LOSS OF PROGRAMS OR INFORMATION, AND THE LIKE) ARISING OUT OF THE USE OF OR INABILITY TO USE THE SERVICE, OR ANY INFORMATION, OR TRANSACTIONS PROVIDED ON THE SERVICE, OR DOWNLOADED FROM THE SERVICE, OR ANY DELAY OF SUCH INFORMATION OR SERVICE. EVEN IF The Philosopher's Wife OR ITS AUTHORIZED REPRESENTATIVES HAVE BEEN ADVISED OF THE POSSIBILITY OF SUCH DAMAGES, OR (II) ANY CLAIM ATTRIBUTABLE TO ERRORS, OMISSIONS, OR OTHER INACCURACIES IN THE SERVICE AND/OR MATERIALS OR INFORMATION DOWNLOADED THROUGH THE SERVICE. BECAUSE SOME STATES DO NOT ALLOW THE EXCLUSION OR LIMITATION OF LIABILITY FOR CONSEQUENTIAL OR INCIDENTAL DAMAGES, THE ABOVE LIMITATION MAY NOT APPLY TO YOU. IN SUCH STATES, The Philosopher's Wife LIABILITY IS LIMITED TO THE GREATEST EXTENT PERMITTED BY LAW.The Philosopher's Wife makes no representations whatsoever about any other web site which you may access through this one or which may link to this Site. When you access a non-The Philosopher's Wife web site, please understand that it is independent from The Philosopher's Wife, and that The Philosopher's Wife has no control over the content on that web site. In addition, a link to a The Philosopher's Wife web site does not mean that The Philosopher's Wife endorses or accepts any responsibility for the content, or the use, of such web site. You agree to indemnify, defend and hold harmless The Philosopher's Wife, its officers, directors, employees, agents, licensors, suppliers and any third party information providers to the Service from and against all losses, expenses, damages and costs, including reasonable attorneys' fees, resulting from any violation of this Agreement (including negligent or wrongful conduct) by you or any other person accessing the Service. The provisions of paragraphs 2 (Use of the Service), and 3 (Indemnification) are for the benefit of The Philosopher's Wife and its officers, directors, employees, agents, licensors, suppliers, and any third party information providers to the Service. Each of these individuals or entities shall have the right to assert and enforce those provisions directly against you on its own behalf. This Agreement shall all be governed and construed in accordance with the laws of The United States of America applicable to agreements made and to be performed in The United States of America. You agree that any legal action or proceeding between The Philosopher's Wife and you for any purpose concerning this Agreement or the parties' obligations hereunder shall be brought exclusively in a federal or state court of competent jurisdiction sitting in The United States of America . Any cause of action or claim you may have with respect to the Service must be commenced within one (1) year after the claim or cause of action arises or such claim or cause of action is barred. The Philosopher's Wife's failure to insist upon or enforce strict performance of any provision of this Agreement shall not be construed as a waiver of any provision or right. Neither the course of conduct between the parties nor trade practice shall act to modify any provision of this Agreement. The Philosopher's Wife may assign its rights and duties under this Agreement to any party at any time without notice to you. COPYRIGHT NOTICE.© 2018 PriorityDigital.com Prepared for: The Philosopher's Wife ,All rights reserved. 1.1 We are committed to safeguarding the privacy of The Philosopher's Wife website visitors and service users. 1.2 This policy applies where we are acting as a data controller with respect to the personal data of The Philosopher's Wife website visitors and service users; in other words, where we determine the purposes and means of the processing of that personal data. 1.4 Our website incorporates privacy controls which affect how we will process your personal data. By using the privacy controls, you can specify whether you would like to receive direct marketing communications and limit the publication of your information. You can access the privacy controls via links at the bottom of each email sent from our email list. 1.5 In this policy, “we”, “us”, and “our” refer to Rachel Furlong at The Philosopher's Wife blog. 3.2 We may process data about your use of our website and services (“usage data“). The usage data may include your IP address, geographical location, browser type and version, operating system, referral source, length of visit, page views and website navigation paths, as well as information about the timing, frequency and pattern of your service use. The source of the usage data is wordpress.com. This usage data may be processed for the purposes of analysing the use of the website and services. The legal basis for this processing is consent OR our legitimate interests, namely monitoring and improving our website and services. 3.4 We may process your information included in your personal profile on our website (“profile data“). The profile data may include your name, address, telephone number, email address, profile pictures, gender, date of birth, relationship status, interests and hobbies, educational details and employment details. The profile data may be processed for the purposes of enabling and monitoring your use of our website and services. The legal basis for this processing is consent OR our legitimate interests, namely the proper administration of our website and business. 3.5 We may process your personal data that are provided in the course of the use of our products and services (“service data“). The service data may include name, email address, billing address, shipping address, and payment information. The source of the service data is you. The service data may be processed for the purposes of operating our website, providing our services, ensuring the security of our website and services, maintaining back-ups of our databases and communicating with you. The legal basis for this processing is consent or our legitimate interests, namely the proper administration of our website and business. 3.7 We may process information contained in any enquiry you submit to us regarding goods or services (“enquiry data“). The enquiry data may be processed for the purposes of offering, marketing and selling relevant goods or services to you. The legal basis for this processing is consent. 3.8 We may process information relating to our customer relationships, including customer contact information (“customer relationship data“). The customer relationship data may include your name, your employer, your contact details, and information contained in communications between us and you. The source of the customer relationship data is you. The customer relationship data may be processed for the purposes of managing our relationships with customers, communicating with customers, keeping records of those communications, and promoting our products and services to customers. The legal basis for this processing is consent or our legitimate interests, namely the proper management of our customer relationships. 3.9 We may process information relating to transactions, including purchases of goods and services, that you enter into with us through our website (“transaction data“). The transaction data may include your contact details, your PayPal email address, and the transaction details. The transaction data may be processed for the purpose of supplying the purchased goods and services and keeping proper records of those transactions. The legal basis for this processing is the performance of a contract between you and us or taking steps, at your request, to enter into such a contract and our legitimate interests, namely the proper administration of our website and business. 3.12 We may process information you provide for public access on our websites (“comment data”). This data may include product reviews, photos, comments, survey responses, or other similar data. This data may be processed for the purposes of promoting our products and services to customers. The legal basis for this processing is consent. 4.2 Financial transactions relating to our website and services may be handled by our payment services providers, including PayPal. We will share transaction data with our payment services providers only to the extent necessary for the purposes of processing your payments, refunding such payments and dealing with complaints and queries relating to such payments and refunds. You can find information about the payment services providers’ privacy policies and practices at https://www.paypal.com/us/webapps/mpp/ua/privacy-full (PayPal). 5.2 We have an office in the USA. The European Commission has made an “adequacy decision” with respect to the data protection laws of this country. Transfers to this country will be protected by appropriate safeguards, namely the use of standard data protection clauses adopted or approved by the European Commission, a copy of which can be obtained from https://ec.europa.eu/info/law/law-topic/data-protection_en. 5.3 The hosting facilities for our website are situated in the USA. The European Commission has made an “adequacy decision” with respect to the data protection laws of each of this country. Transfers to this country will be protected by appropriate safeguards, namely the use of standard data protection clauses adopted or approved by the European Commission, a copy of which you can obtain from https://ec.europa.eu/info/law/law-topic/data-protection_en. (a)the period of retention of usage data, service data, publication data, enquiry data, customer relationship data, notification data, correspondence data and comment data will be determined based on the length of time The Philosopher's Wife is active, and at a minimum, will be retain for as long as The Philosopher's Wife is active. 8.3 You have the right to confirmation as to whether or not we process your personal data and, where we do, access to the personal data, together with certain additional information. That additional information includes details of the purposes of the processing, the categories of personal data concerned and the recipients of the personal data. Providing the rights and freedoms of others are not affected, we will supply to you a copy of your personal data. The first copy will be provided free of charge, but additional copies may be subject to a reasonable fee. You can access your personal data via email. 8.12 You may exercise any of your rights in relation to your personal data by written notice to us via email at rachel.marie.furlong@gmail.com. 11.3 We are a participant in the Amazon Services LLC Associates Program, an affiliate advertising program designed to provide a means for sites to earn advertising fees by advertising and links to Amazon.com. As part of this Amazon Associates program, the Website will post customized links, provided by Amazon, to track the referrals to their website. This program utilizes cookies to track visits for the purposes of assigning commission on these sales. 11.4 We are a participant in other affiliate advertising programs, including but not limited to: Adwin and Share a Sale. They also utilize cookies to track visits for the purpose of assigning commissions. 13.1 This website is owned and operated by Rachel Furlong. 13.2 Our principal place of business is at Clermont, Florida. 13.3 You can contact us by email, using the email address published on our website. 14.1 Our data protection officer’s contact details are: The Philosopher's Wife (rachel.marie.furlong@gmail.com).